I'm looking at a road map how to get from Zermatt to Breuil-Cervinia. I wonder if it is possible to get there by short path? Please note I will travel with luggage and ski equipment. Is it possible to bypass with luggage in cable-car? Unless your luggage is a back pack and you are willing to wear your skis this is not possible. Pedestrians are usually allowed onto cable car lifts and in some cases chair lifts (although you would be unable to carry any bags for the latter). Then you can see that between Plateau Rosa and Trockner step there is no possible route you can do. 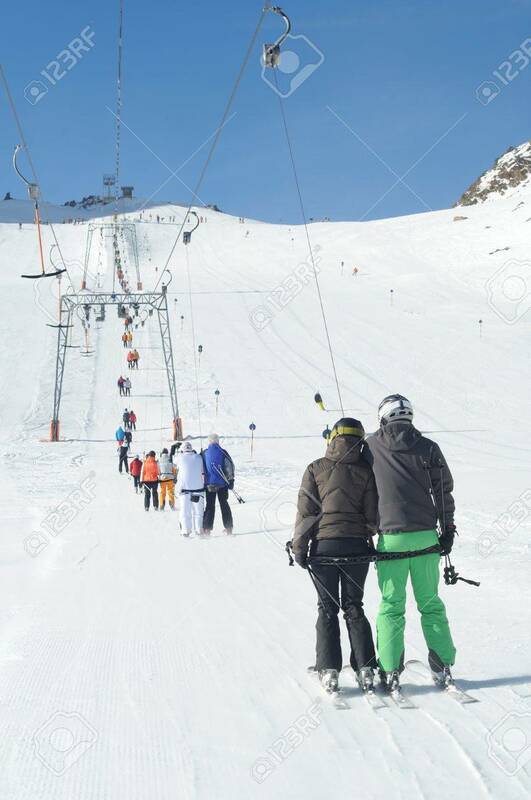 Traveling from Zermatt to Cervina there are T-Bars but you need to have ski equipment to use them and cannot travel on them down hill. If you do want to attempt this then you don't need to purchase a full day pass. 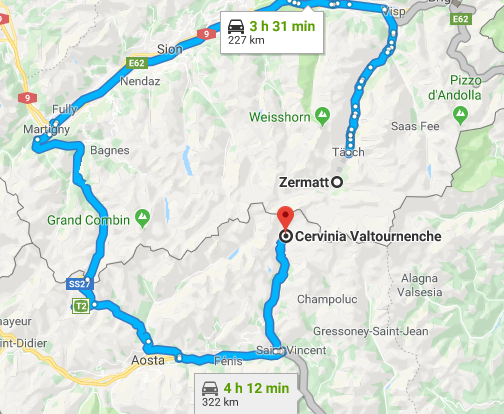 You can buy a single assent from Cervina to Plateau Rosa (http://www.cervinia.it/en/inverno/tariffe-tronchi-ar) for a lower cost then a full day pass. You would then need to ski down to Zermatt. You can also buy single journeys from Trockner Steg to Zermatt (https://www.matterhornparadise.ch/en/Book/Online-tickets/Single-tickets-Trockener-Steg) which would reduce the skiing. I do not know if these are available at Trockner Steg, and would recommend buying this in advance.